Now located inside Texas Laser & Aesthetics! I've heard microblading is a semi-permanent tattoo. Is that true? Yes and no. Microblading is a tattoo, for sure, but the line between semi-permanent and permanent is thin. Microblading has only become mainstream in the United States within the past 6 years, so we’re just NOW seeing long-term results from microblading. Typically, microblading fades considerably within the first 6 months-2 years, but sometimes there are residual pigment marks/scar tissue that can be present for much longer than 2 years. It is highly recommended that clients do not receive more than 2 touch-ups per year to ensure the long-term health of the skin. Proper anesthetics are used to ensure the process is as pain-free as possible. Your microblading artist will consult with you before the procedure to make sure your individual requests are honored. That said, those who choose to not receive anesthetic before the procedure have described the feeling as “being scratched,” and the pain level as a 3 on the 10 point scale. Unfortunately, there’s no set answer. The results depend on several factors, such as medication, sun exposure, after-care treatment, and genetics. In addition, microbladed hairstrokes rarely fade evenly, so you might have some hairstrokes outlast others. The average person will experience gradual, uneven fading that lasts anywhere from 12 to 18 months. Why do I have to return for touch-ups? You don’t have to, but if you want your brows to have optimal results, touch-ups are necessary. After the initial treatment, your body will start to heal itself. The healing process will include some fading. 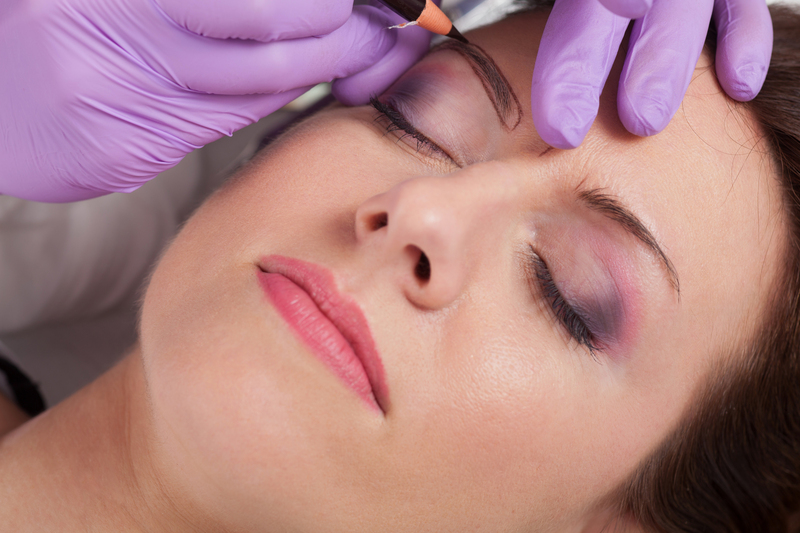 Therefore, 1-2 touch ups are necessary for semi-permanent lasting results. What type of pigment do you use? Only the most well-researched, microblading-specific pigments on the market. Highbrow Microblading uses LI brand pigments, Tina Davies Permablend pigments, and PhiBrows SUPE formula pigments. Please note that these mineral-based pigments may include iron, so those with metal allergies should avoid microblading. An allergic reaction is extremely rare, but those who are concerned can schedule a patch-test to be performed approximately 1 week before scheduled treatment. Your microblading artist will collect a list of your known allergies, and provide you with a summary of all ingredients used during treatment. Expect the initial procedure to take anywhere from 2-3 hours, but typically closer to 3 hours. What happens during the initial procedure? Your microblading artist will ask you several questions about how you’d like your enhanced brows to look. Taking all answers into consideration, your microblading artist will draw an initial brow shape. You will approve and adjust each brow shape until desired shape is achieved. Only then will actual microblading begin. Do you use a machine? Sometimes, but only a very small amount. Each person is different, but generally no more blood than a minor scratch can incite. Those who are on blood-thinning medications may not receive microblading treatment. What makes someone a non-candidate? Those who are pregnant, breastfeeding, and/or taking blood-thinning medications. Also, those who have had recent severe sun exposure, botox/filler (within the past 2 weeks), eczema, severely oily skin, recent Accutane treatment, and those prone to keloid scarring. Additionally, if you have been diagnosed with/being treated for a compromised or impaired immune system, you must secure a doctor’s note stating you can receive treatment. This is YOUR responsibility. More than likely, if you receive treatment from Highbrow Microblading, you will love your enhanced brows! This is because we take every measure to include you in the brow-creation process- YOU have control over the shape and color. In the rare case that you prefer your original brows, you would simply consult with your Highbrow Microblading specialist to discuss the fading process. I want microblading, but the process seems intimidating. I’m also seeing conflicting information online when I research my options! Can you help me make sense of everything? Yes. We recommend you have a phone consultation before committing to any procedure. This is your time to ask the questions that can help you get a feel for your artist. Additionally, be wary of any service that seems too good to be true. It’s your face- be careful and do your research!